Yes, I have it backwards…but not for rescue. We see the worse …. Then we get to see the better. This is an example. The emaciated dog -- Jewel -- was found discarded like trash alongside the road. It is clear she has been overbred and is extremely emaciated. 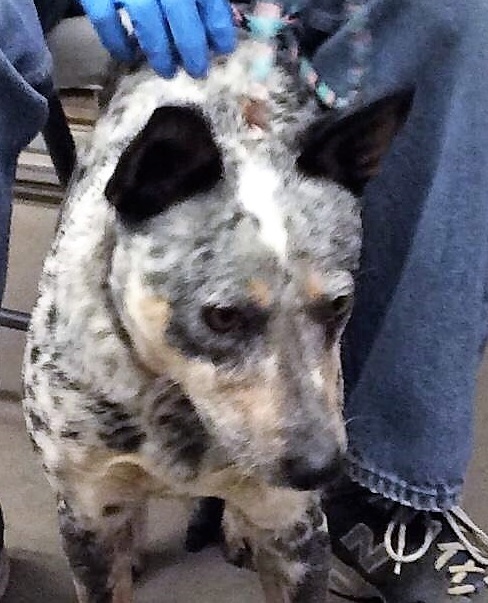 Yes…thanks to everyone working together – Friends of Shawnee Animals….Oklahoma Alliance for Animals....and organizations like ours, PAAS, once Jewel is healthy she will leave the state for a better life. Pictures like this tear at your heart. Then you have the story of Sadie who went on a PAAS Ride-to-Rescue transport in February. She was quickly adopted by an employee of Dumb Friends League and renamed Skeeter. Today she has a great life. She goes to horse shows, is working on good leash manners. 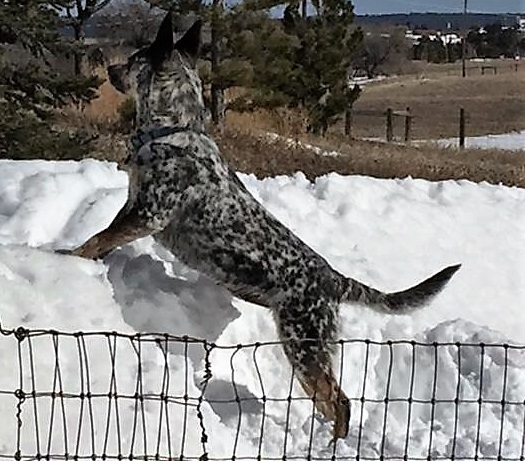 And, while she is certainly interested in cows in the neighboring field - - after all she is a heeler and that’s what they do - - herd cows, it is obvious she is loved and she is happy. Look at Jewel, then look at Sadie/Skeeter when she arrived at Dumb Friends League….then look at Skeeter enjoying the snow. 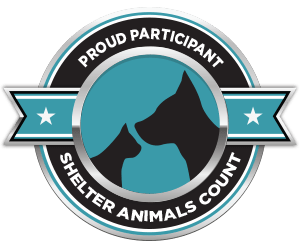 For us in Oklahoma rescue it starts out For Worse….. and ends up For Better when they make the overnight trip to Dumb Friends League. If a picture is worth a 1,000 words - - three pictures are priceless. Newer PostSometimes - - when all else fails – crabby works!!! !